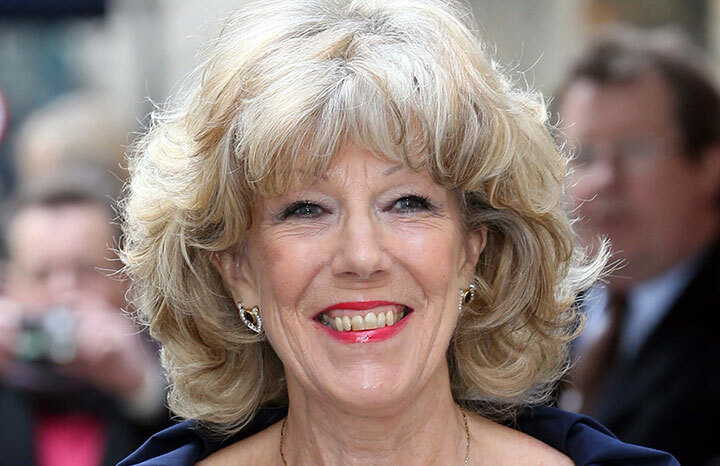 Coronation Street's Sue Nicholls loves a challenge. And 37 years since she joined the Street the show still keeps her on her toes. "I may be 102 – not really but I’m not the spring chicken I think I am – but I feel like I’m still learning every day. That to me is what life – on every level – is all about," says Sue. But she admits some days are a challenge. “Some early mornings I stagger in and wonder what on earth I’m doing,” she laughs. “But once I’m there, I just get on with it and do the best I can. That’s what you’ve signed up to do. I’m what I call vaguely healthy and I’m lucky enough to be blessed with a reasonable ability to learn lines – long may that continue." Sue and Mark have been happily married for more than 20 years – but in Corrie, Audrey’s currently spoilt for choice with regards to a potential soulmate. Read all about Sally from Coronation Street's secret ambition! And we have a real soft spot for Sue! Sue and Mark have been married for more than two decades – what would she say is the key to their marital bliss? “Probably that most of the time Mark’s in London while I’m up here in Manchester,” she jokes.